Click on the links in the drop-down menu in this section to learn more about the Association’s Vision and Mission, its history and the men and women on the OCSTA Board of Directors. 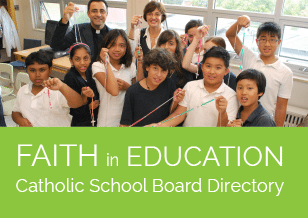 If you are searching for a Catholic school, you are encouraged to click on the Catholic School Board Directory link to connect you directly to the board office responsible for schools in your community. If you’re not sure of the name of your school board, please use the regional board directory.